Assalamualaikum! Its the last week of Ramadan!! How times flies Subhanallah! I hope you are making the most of this Ramadan and especially these last 10 days, inshallah. 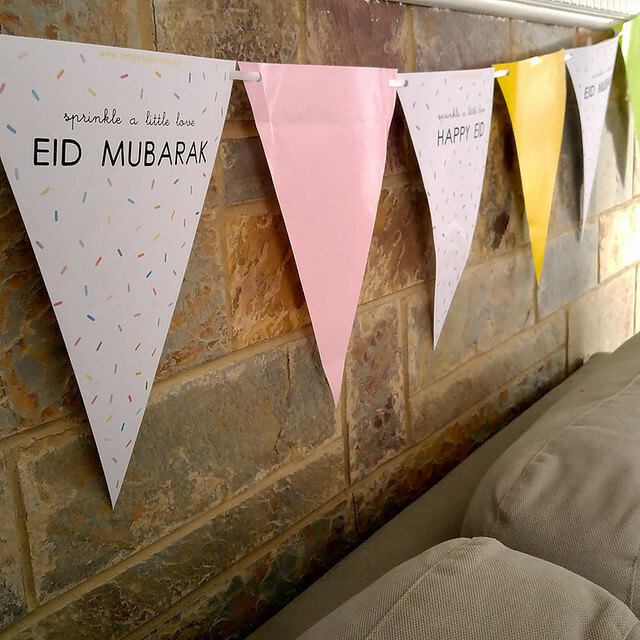 How are your Eid preparations coming along? 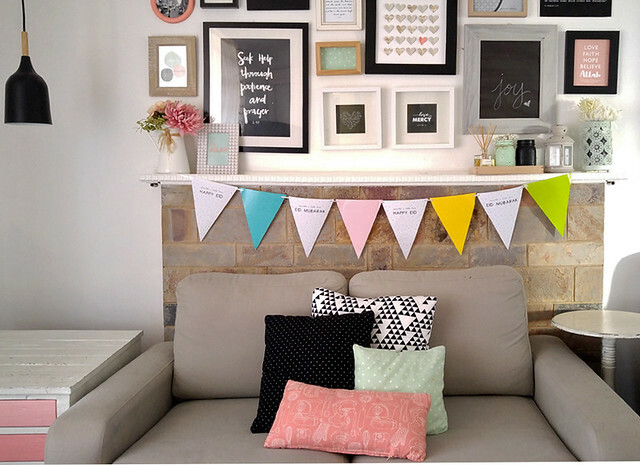 These bunting flags/garlands are super easy to make. 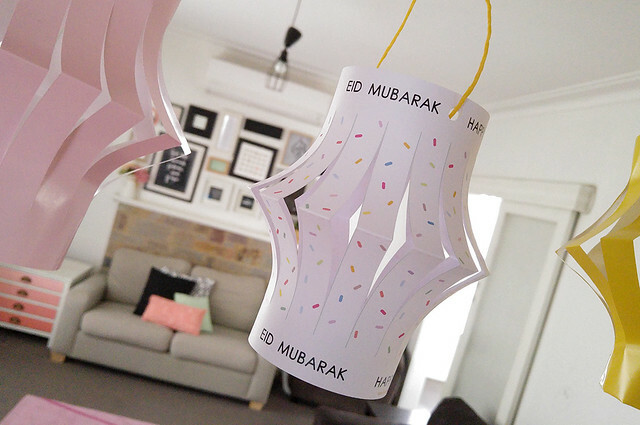 They add a cute statement to your living room or even at your Eid buffet table on Eid day! 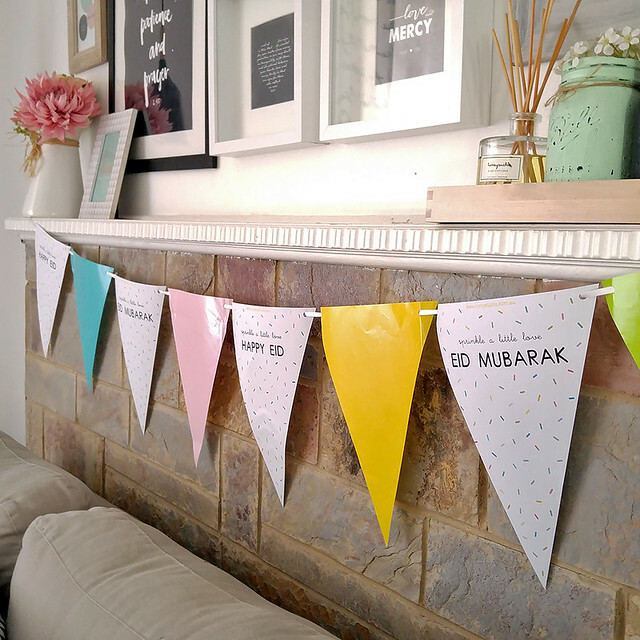 And if you want to add some coloured flags like how I have displayed mine, feel free to use my template and put it over coloured paper, and then cut along to achieve the same size. Upon clicking the download button, you adhere to my policies. This file is strictly for personal use ONLY. Which means you can print as many times as long as it is for your own use, not for commercial (profit making) or as part of a finished sale product. Prohibited to resell and/or distribute this file, digitally or in printed form. Assalamualaikum! Its week 3 of Ramadan! 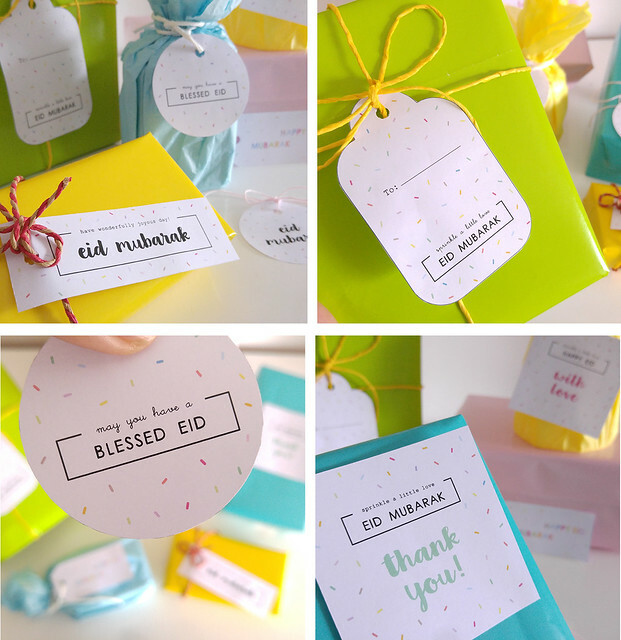 If you haven’t packed your Eid gifts, I suggest you hurry and wrap them. I used to wait to the lats minute and be all frantic on the eve of Eid! It drove me crazy, so this time, I am wrapping them before the last 10 nights. 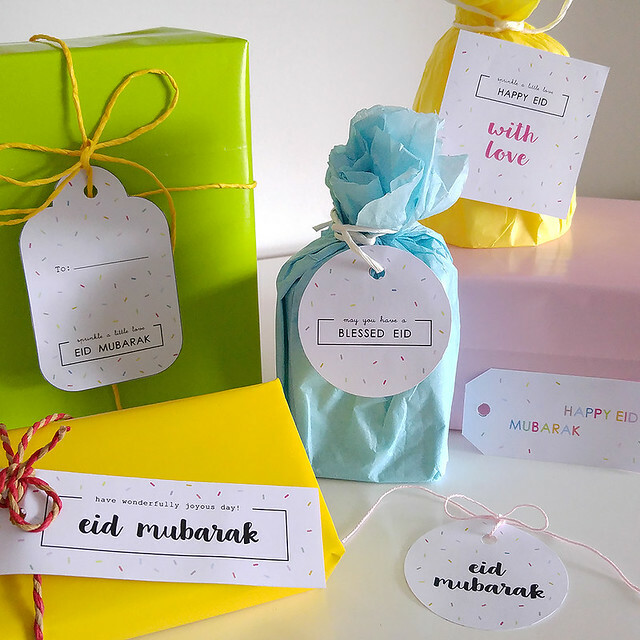 These work so well with pastel coloured wrapping paper. It matches with the pastel sprinkles theme I have going on! Upon clicking the download button, you adhere to my policies. This file is strictly for personal use ONLY. Which means you can print as many times as long as it is for your own use, not for commercial (profit making). Prohibited to resell and/or distribute this file, digitally or in printed form. 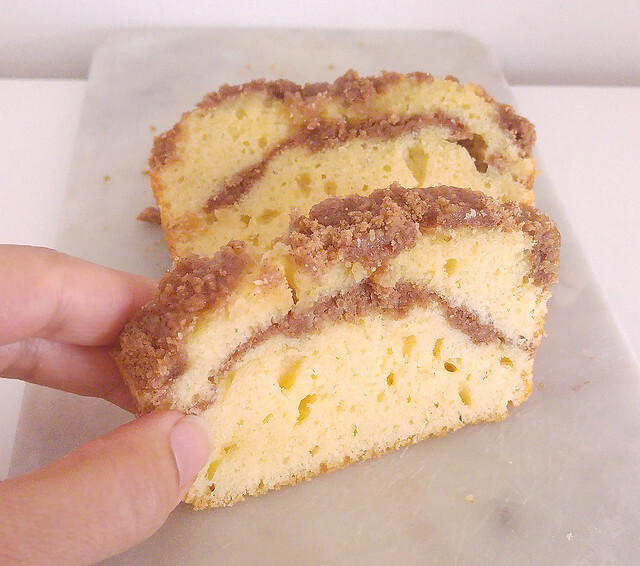 A perfect afternoon-tea cake that goes so well with a cup of coffee or even tea! Preheat oven to 160 degress celcius. Spray loaf pan and line with baking paper. Using mixer. Cream together butter and sugar until fluffy. Add eggs, one at a time. Add vanilla and sour cream. Mix until well combined. In separate bowl – combine flour, baking powder and salt. In medium bowl, combine all ingredients. 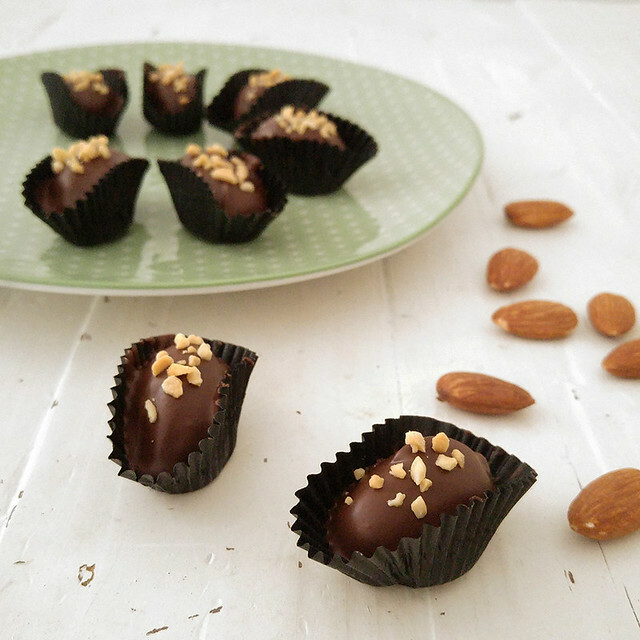 Mix with pastry cutter or fork until well combined and butter is the size of small peas. Pour half the cake batter into the prepared loaf pan and top with half the streusel mixture. Add remaining batter and top with streusel mixture. Bake for about 40 minutes or until a toothpick comes out clean. Mix all icing ingredients together and drizzle over cooled cake. 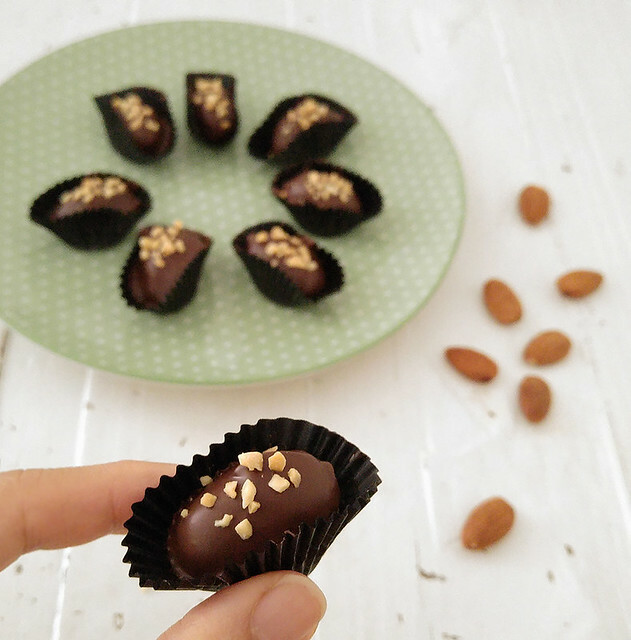 Assalamualaikum my lovelies! 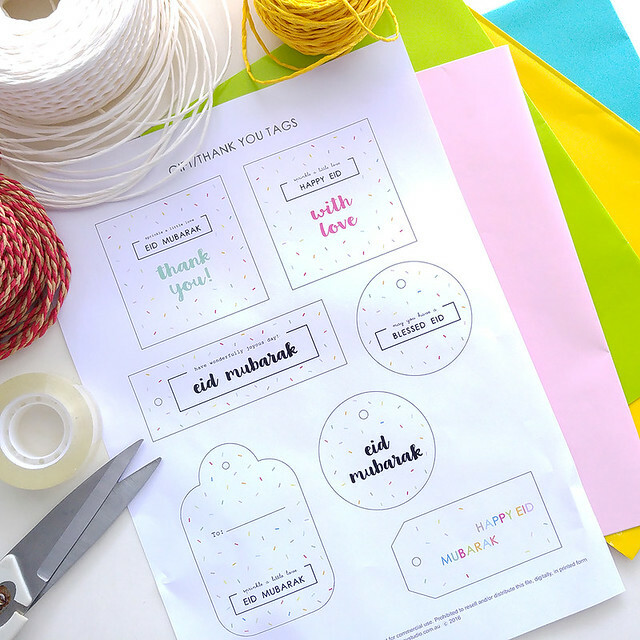 Our Eid Lantern template 2016 is a little different to previous years. I decided to make it a bit more simplified to accommodate for our younger audience (under 3’s) as the usual lantern was a tad harder for them to construct. 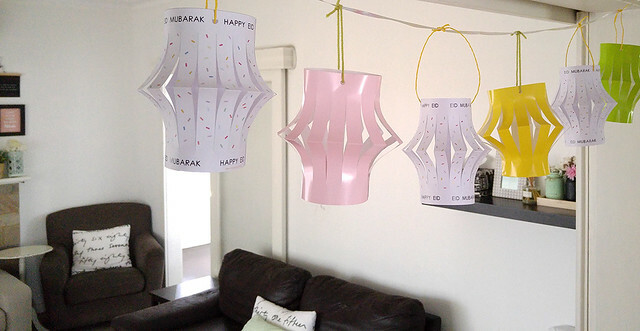 If you’re planning to decorate your lanterns like how I’ve done in these photos, you will also need some coloured paper at home to print the template on, so it makes cutting a lot easier. I have attached a plain lantern template for you to download. 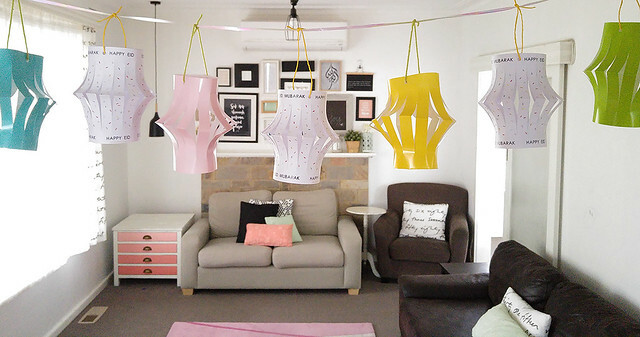 I reckon alternating the sprinkles lantern with a plain coloured pastel lantern looks better visually as it breaks it up rather than having way too many sprinkles going in on your living room, right?! Haha!